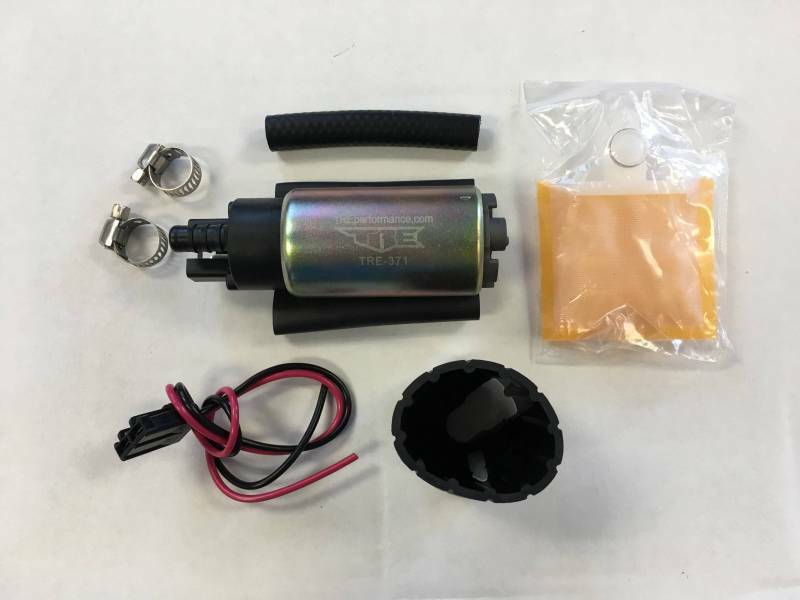 This brand new TRE-385 OEM Replacement fuel pump is a direct fit replacement in the stock fuel pump housing (some minor modifications may be needed on the plastic housing or wiring). It flows very similar to the stock pump for your vehicle, usually about 110 liters per hour at 12v and 43.5 psi. This pump will fit every model, engine, type or style for every vehicle listed and can flow anywhere from 15-115 psi, which is determined by your fuel pressure regulator, usually about 110 liters per hour at 12v and 43psi. All of our pumps are always in stock and will often ship the day of payment.